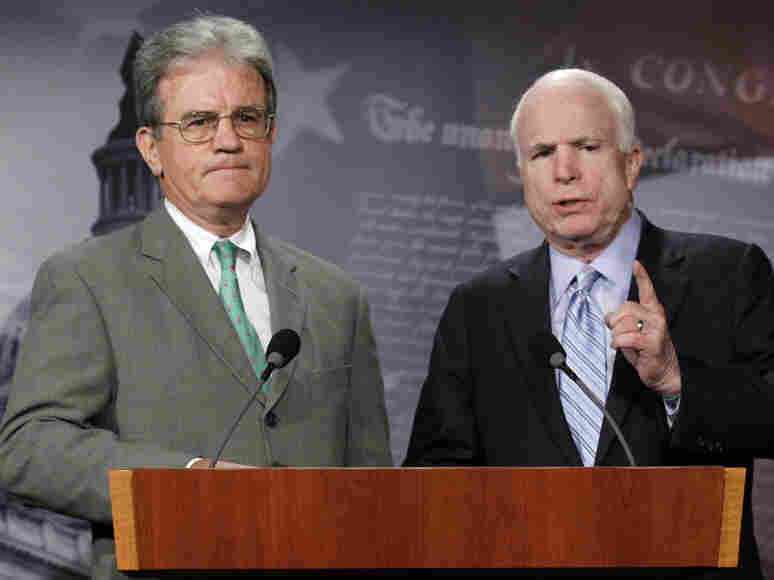 McCain, Coburn Hit 'Misdirected' Stimulus Spending : The Two-Way Sens. McCain and Coburn release their latest list of what they consider wasteful stimulus projects. Sen. John McCain (R-Ariz.) has made a career of exposing what he considers wasteful government spending, first on congressional earmarks, more recently, projects funded by the $787 billion economic stimulus. On Tuesday, he and fellow Republican Sen. Tom Coburn of Oklahoma, released their latest list of what they consider to be dubious projects. REPORTER: Do you think it's a credible report? MR. GIBBS: From what I've read, no.